The Turin Two-Piece Sectional brings a refined appeal to your living room setting with its sharp looks. It offers the perfect huddling spot for your family and friends with its comfy cushioned seats and backrests. 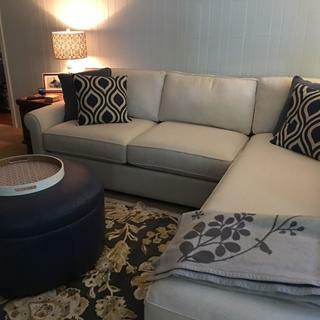 This contemporary-style sectional rests atop sturdy square block feet and welt cord accents highlight its neat tailoring. Custom-order fabrics are available. Other configurations are available. 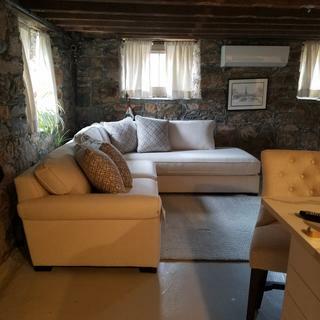 Comment: Includes: Left Arm Facing Sofa (71"L x 43"W x 35"H) and Right Arm Facing Large Chaise (42"L x 96"W x 35"H). Price may vary based on option(s) selected. Very happy with my selection, speed of delivery and the effort those guys had to use getting in my condo. 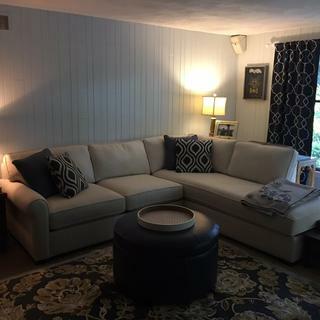 I bought this couch a couple months ago and I love it. It is comfy and the styling is timeless. Hi. How deep are the cushions themselves? The Max Home Turin has the following dimensions: depth is 31", and 24" from the back cushion. The Max Home Turin 2 piece sectional is available in additional fabric options as a special order. Please see any of our locations for fabric options and pricing. Are you able to unzip the cushions and machine wash the fabric? All of the Seat and Back cushions are removable. We do recommend professional cleaning. Spot clean using either the foam from a mild water-based soap or dry cleaning solvent. Does this piece come with the chaise on the left side? 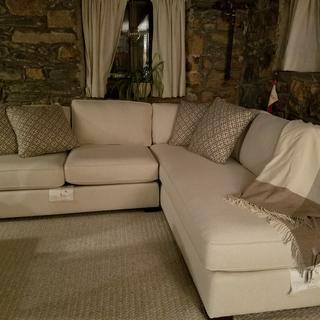 The Max Home Turin 2 piece sectional is available with the chaise on the left side side.